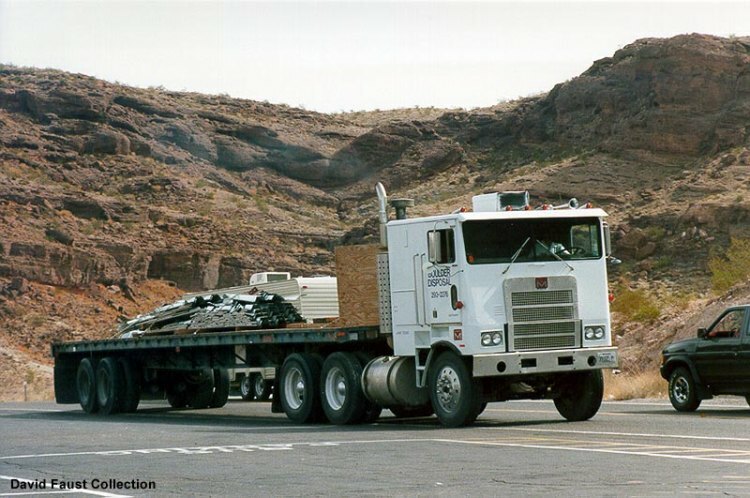 IMCDb.org: Marmon HDT-AC 86 in "Transformers: Age of Extinction, 2014"
A reference to the Generation 1 Optimus Prime. karoomay wrote A reference to the Generation 1 Optimus Prime. Model names should sound like this one: Link to "alldrawings.ru" COE is a generic labeling for 'Cab Over Engine'. Wikipedia says its a Marmon 97. Now I don't know if it means 1997 or 97 as the model name, because when I searched on google, nothing came up. Some research lead me to believe that its a Co2. Excuse me if I'm wrong. Longtail wrote Wikipedia says its a Marmon 97. Now I don't know if it means 1997 or 97 as the model name, because when I searched on google, nothing came up. Some research lead me to believe that its a Co2. Excuse me if I'm wrong. It was made from 1973 to 1997 so I suppose it`s the model year. In the comic was Optimus a Mack COE truck. Can't be newer than early 90's. This YT video shows said truck driving, engine sounding like the old, mechanical Big Cam Cummins, which ceased production in the early 90's when Cummins came out with the M11 and N14 electronically controlled engines. Did anyone notice that it has rear spring suspension?? That puts its year into the 70's or later.. The toy version of Optimus Prime in this truck form shares the exact same colors as '80s Optimus Prime.